Well, didn’t expect to see that phrase in connection with my name but what do you know! And I hadn’t even realised. My whinging a few weeks ago about always coming sixth and I manage to exceed my own expectations. No dear reader, I didn’t come first but I did come second. We are of course talking about last weekend’s Parkrun and I’m really not sure how this happened because I clearly remember being passed by quite a few women at the start of the run but I certainly don’t recall passing them along the route! It was good to be back running after my volunteering the weekend before and it was a fairly non eventful run, just a bit of a light shower at the start in comparison to last Sunday in Ashford! My trainers dried out just in time. My pace was 6mins for the first kilometre, then the middle three were 5min pace – at which point my brain had gone from ”oh*, going to be a bit pedestrian, will this be my slowest Parkrun time” to “OMG, keep this up for the last kilometre and we’re in with a chance of a PB”. We didn’t keep it up but a respectable (for me) 5min 30ish kilometre brought me across the finish line in 26’ 30” and 26th overall. *not sure when I turned into Nessa from Gavin & Stacey, there is no Welsh blood in me despite being a Jones! It was only later that day when I received my result email which advised me I was first in my age/gender category (I was the only one in my age/gender category! ), that I clicked on to the results page and had to do a double take – 2nd! Wow, how did that happen? Are they really sure? Where did all those other women disappear to? Is there a black hole in Shorne Woods – well, quite possibly, it can be a bit Blair Witch Project out there, even on a Saturday morning. So the pressure’s on for this weekend and even more so because I volunteered to contribute to the Run Report this weekend and I’m beginning to feel a bit stressed. Apart from anything else, I have to turn up – no excuses! What will I write about? Hopefully my muse will also be up early on Saturday morning and wont desert me in my hour of need. Time will tell! No, not the 80s pop group, my run yesterday. In contrast to Saturday, Sunday brought rain, rain and even more rain. In fact I have since learned that the run became perilously close to being cancelled because of the atrocious conditions. The Stadium in drier times! I arrived at the Julie Rose Stadium in Kennington, Ashford in good time to collect my timing chip and then like many other runners and spectators huddled in the cafe and indoor track looking out miserably at the rain and the skies, just hoping for a glimpse of the sun. We were just putting off the inevitable really, we were going to get wet – very wet. There were a few brave souls “warming up” on the track or were they just acclimatising to being wet. The tannoy started to call runners to the start area about twenty minutes before the start time – no chance, mate. What do you think we are, stupid? Ah yes, maybe we are! Anyway, gradually people started to drift over reluctantly to the start area and in a way, the weather brought about a sense of camaraderie. And then we all started to jump up and down, lemming style! Trying to dodge rain drops or keep warm, I’m not sure but it gave us something to do. No local celebrity to start the race (or maybe there was but they very sensibly decided to stay put under cover). The gun just very abruptly sounded and we were off. The run takes you out of the Stadium and then right, up and over a railway bridge. I heard one runner reassure his mate that this was the only hill – hmm, right, not sure that’s entirely true but never mind. And then when we got to the top of the hill, the sight that awaited us was unbelievable – when did this become a steeplechase event? I do not jest, the entire width of the road was flooded and the only options were to run through or try to navigate the very muddy, narrow, grassy verge to one side. I opted for the latter in an attempt to save my trainers – I needn’t have bothered! It was not long after this point that one of the marshals told us we were looking good. A runner next to me quipped “That means we don’t!” and managed to raise a few laughs. At the drinks station, another runner threw his cup of water over a marshal, presumably to give them an idea of how we felt but the said marshal was probably just as wet. Fortunately they seemed to take it all in good spirits. The rest of the run passed reasonably peacefully, my first kilometre was 6 mins so I was happy with that, especially in view of the obstacles put in our way but then the second was 5 mins. Oh dear, Jones, slow down, remember the objective is to get around with no walking. After that I managed a steady 5 and a half minute pace and although there were points in the last 3k when I started to worry about achieving this objective, I’m not entirely sure this wasn’t down to my previous experiences – I’m starting to expect to feel bad and in need of a walk. Whereas, although this wasn’t easy, there was no point where I thought it’s no good, I’ve got to walk. And once I’d got passed the 9k sign, there was no way I was walking. So I crossed the finish line in 54’ 26”, my second best 10k time ever and my second best 10k time at Ashford – so I’ll be back next year! One final incident on the way back to the car park though – a naked man trying to change into dry clothing in his car! I’d brought dry clothes with me too (and that’s when you know you’re getting old – when you think ahead and bring extra clothes and trainers with you) but I still left the wet base layer of clothes on! This morning I turned up for my volunteer stint at Parkrun. After hearing the rain during the early hours of the morning, I anticipated getting soaked and cold but it turned out to be a lovely sunny morning. I met up with the other organisers/volunteers just after 8am and helped (or more likely hindered) with setting up the finish area. It’s not as easy as you might think. 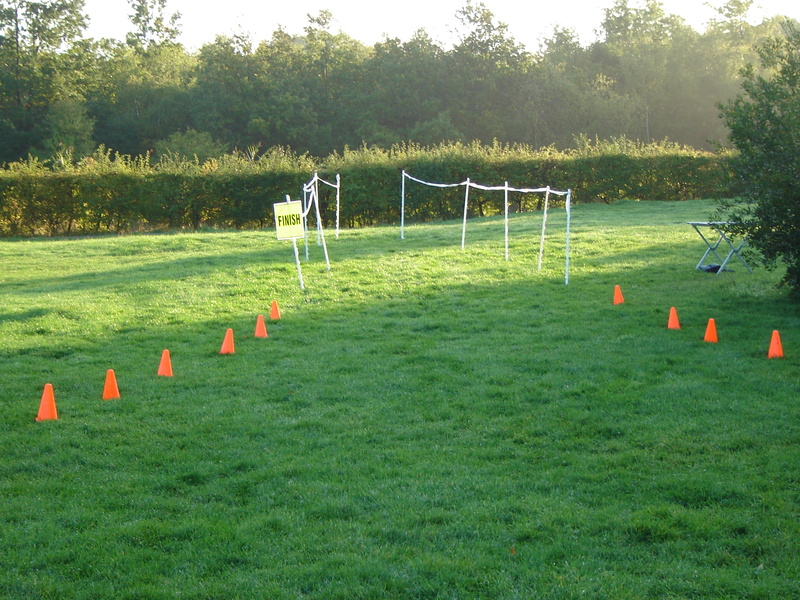 The first attempt highlighted a dip in the ground just after the finish line, a potential hazard point. Not wanting to injure any runners, we had to move the whole thing over to one side to avoid said dip but at the same time ensuring the runners didn’t end up in the bushes instead. 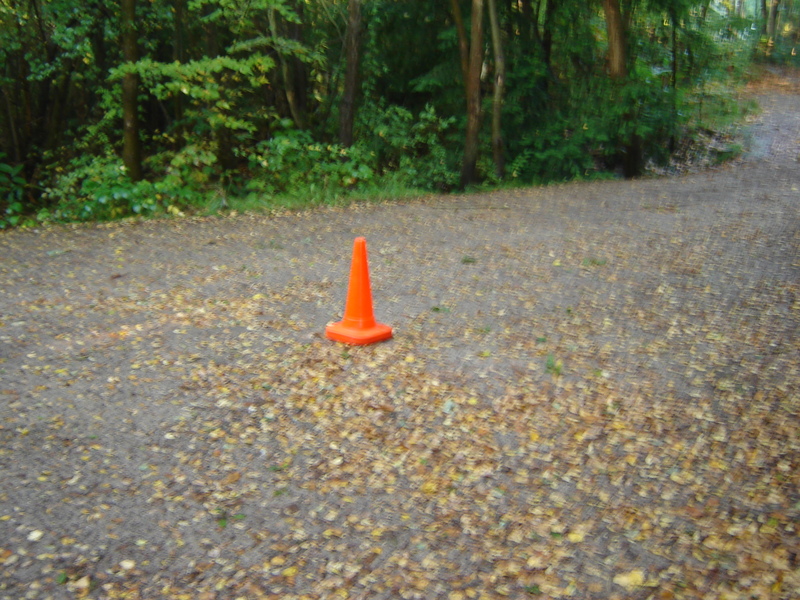 I then made my way to my marshal point, signaled by the cone below. And that’s my photography skills making the cone appear blurry, not your eye sight! My marshaling point was not far from the 1 and 3km marker but past the last lap turn off point so the runners would only have to see me twice. That’s the way I view it anyway when I’m running! Standing there waiting for the start of the race was quite calming – the sound of the birds chirruping, rain drops falling down from the trees above, the gentle breeze through the leaves, the distant hum of the A2 and a lone police siren were all that broke the silence. I checked my watch and did a brief calculation of when I should see the first runners appear and so set to, listening for the patter of runners feet as they started to emerge from the trees. And then it began, a steady stream of over 50 runners making their way around the course. I’m not a natural extrovert and found it hard trying to find the balance between being encouraging and being downright annoying! The lead runners were so focused and looked like they’d be a bit insulted by my encouragement, while the latter runners looked like they were in pain and were probably thinking “you come and do it if you think it’s so easy”. So I managed a few good mornings and directed somebody in the right direction rather than deeper into the woods, but I’m learning. All in all it was a good experience, seeing what happens before we runners turn up, everything from sweeping away puddles and setting up the finish funnel. I also learned about how the timing chips work, that’s always amazed me. Hopefully I’ll be allowed back to help out again at some time in the future but next week the plan is to run with all my new found knowledge! I’m thinking of changing my blog name to “No Logic”, as in there’s no logic to my running! After my “success” in Sheffield, you’d have thought my brain would now be engaged on getting around runs without walking. But no! I would say in my partial defence that since then I have completed two 10k treadmill runs without walking, although admittedly both were just over an hour. But the three outdoor runs I’ve done have been “disasters darling”. The first last week was a recovery 6k. The first 4k was fine but then for some reason during the fifth kilometre I felt the need to introduce some walking, three times, and then for some bizarre reason I ran the whole of the last kilometre in about five and a half minutes (which seems to be about my average pace at the moment). So if I could manage the last kilometre without walking, what happened in the previous kilometre? I can’t even blame it on a steep incline! 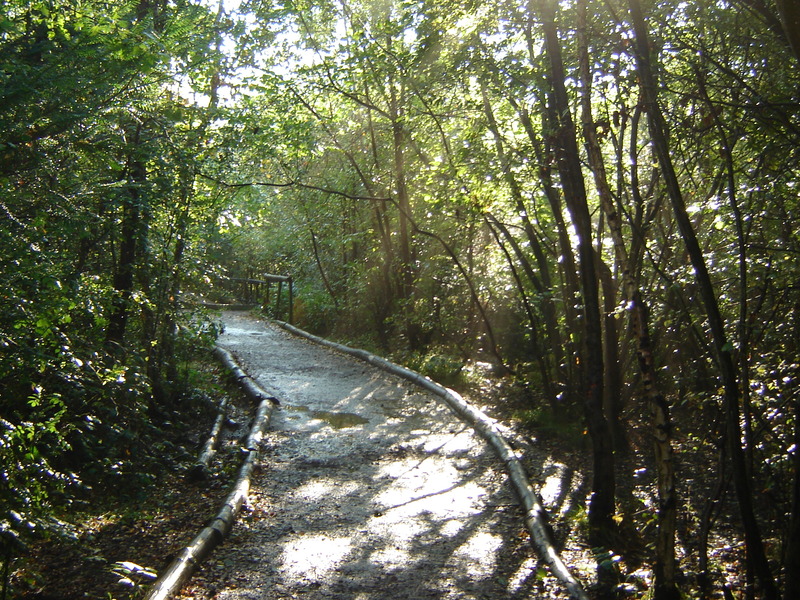 Then on Saturday morning there was my seventh Parkrun at Shorne Woods. I didn’t anticipate getting anywhere near my PB time and thought I’d treat it like a gentle jog around the park. But somewhere between my brain and my legs, the message went adrift. First kilometre in about five and a half minutes – sugar, slow down! And so it went on until 4k when twice (when I was out of sight of the marshals – I have some pride), I slowed down to a walk, only for 30 seconds but still a walk. Even so I still managed 26’ 26”, my third best Parkrun time. Initially I was pleased with that time until during the day I started to realize that if I hadn’t incorporated the walking, I could possibly have beaten my second best time and would have been close to my PB. Regrets, I’ve had a few! And then we have today. 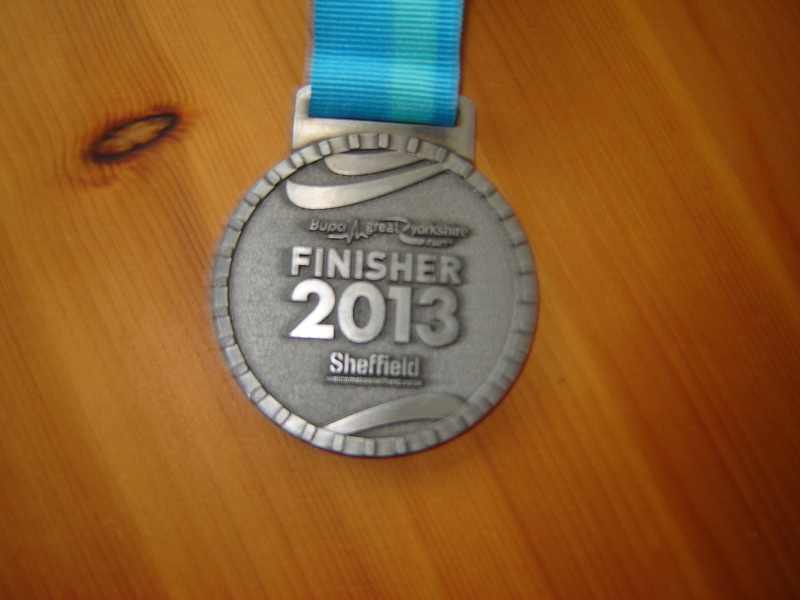 How about this – I did 10k in 56’ 38”, over a minute quicker than Sheffield. But after 6k there was an awful lot of walk breaks. So how does that work? Do I walk as quickly as I run? Shall I just stick to power walking in future? Answers on a postcard please …. So what’s going to happen at the weekend? 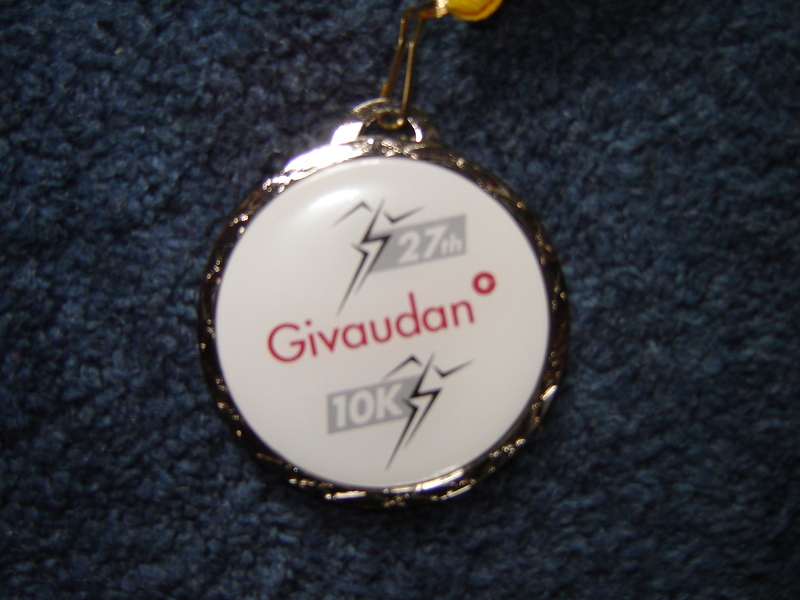 My fourth attempt at the Givaudan Ashford 10k. Will I make it around without walking? I have to report back to Jolyon, my running buddy from Sheffield, so I’m going to do my best. The weather forecast isn’t promising – showers and 13 degrees, brrrh. Extra layers required. But before Sunday I’m doing my first stint at volunteering at Parkrun and I’m going to be a marshal. I did say nothing too technical and apparently all I’m required to do is point and obviously encourage the runners. I think I can cope with that. I’m looking forward to it, not least because I don’t have to run! I’m saving my legs for Sunday!! Wish me luck – for Sunday, I think I’ll be alright on Saturday! Although famous last words…. Actually, that should be thank you Jolyon Attwooll, my Telegraph running buddy. I can definitely say if it wasn’t for him I would not have achieved my two goals. To run a 10k without involving any walking for the first time after nine previous unsuccessful attempts and to do it in under an hour, we did 56 minutes and 44 seconds to be precise. I have completed a couple of 10ks quicker than that but they still involved some walking. Most runners I know seem to suffer from a bad night’s sleep before a race, those nerves getting in the way, and I was no different. Although not just battling against pre race nerves and sleeping in a strange place, I also had to contend with my proximity to the lift shaft with lifts going up and down all night and being woken at 1.00 am by a stag party playing a drum in the ironically named Peace Gardens outside my window!!! This did not auger well for a refreshed runner getting to the start line. I have to say it made a change getting ready for a race in my hotel room and then having a short walk to the start line. I didn’t even have to look after my valuables and my jacket, the logistics woman at the race on behalf of the Telegraph looked after my “stuff” during the race – I could get used to that! While we were waiting in the hotel, Jolyon offered to run with me and get me around the course. I initially declined as I didn’t want to die – his projected finish time was 36 minutes and as all runners know, you’re always after a PB. But Jolyon hadn’t run for over three weeks and offered to sacrifice his race to help me with mine so I gratefully but hesitantly accepted. The course description is as follows “The course begins with a city centre start heading out down the fast and flat Penistone Road, underneath the South stand of Hillsborough Stadium – home to Sheffield Wednesday FC – and back down the other side of Penistone Road returning to a cracking city centre finish”. Hmmm, the clue is there is one little word “down”. I have no problems with the flat Penistone Road part, that was true, the middle 7k were flat and the first 1500m were great, all down hill and we did the first kilometre in 5’ 15”, I usually manage that in around 6’. But as everyone realises, especially with an out and back course, where there’s a “down” there’s always an “up” – in this case three of them. We were obviously aware of this from the outset and knew we’d have to keep something in reserve, well I would, Jolyon could probably have done it in his sleep! I was okay until we got passed the 6k marker and then asked if we could slow the pace down a little, in fact I did that at 7k and 8k but apparently Jolyon says I didn’t slow down. This doesn’t surprise me in the least, I seem to have problems slowing down. Its either full steam ahead or walk – maybe that’s my problem. We get just passed 8k and we can see people ahead turning right and starting up the first hill and so we follow and that hill’s tough. Then the course turns and flattens out but we still haven’t passed the 9k marker. By the time we get to that point we’re on Snig Hill (should probably be rechristened “Smug Hill”) and after that, it’s just hell. I felt sick on a couple of occasions and it really was only Jolyon’s encouragement and not wanting him to have wasted his sacrifice that got me over that finish line without walking. So, my hero! Throughout the run, he asked me how I was feeling, pointed out the people we were passing who had started in the wave in front of us, he even ran in front of me on a couple of occasions to give me a break from the wind. A true gent! After I’d got my breath back, we did a short piece to video camera for the Telegraph and then made haste to get the train back to London. So all in all, I was only in Sheffield for 18 hours but they were 18 productive and “enjoyable” hours. So what’s next, well next weekend is the Givaudan Ashford 10k when I’ll be desperately trying to replicate my recent performance. I shall have to imagine Jolyon is on my shoulder and I do at least have the benefit of knowing this course, where the inclines are in the middle of the run and the last 1500m or so is flat! And as I was so successful in the Telegraph’s prize draw, I’ve entered another two today. The first was through completing a post race survey for BUPA to run the Great Yorkshire again next year. The second was a Parkrun/Adidas prize draw to win a place in next year’s Virgin London Marathon – ooops!! And below is a little snippet from the pre and post race interview!